Join us for a 2-hour walking tour of world famous Fifth Avenue and experience the most famous fashion brands and department stores in an entertaining way. The Empire State Building Greenwich Village Soho Chinatown Rockefeller Center Manhattan Bridge Brooklyn and more! Go Green! Explore NYC by Bike. The city has built Bike Lanes everywhere, which makes it easy & safe to cycle all over NYC. Acclaimed jazz guitarist, Joe Cohn, and accomplished saxophonist Ian Hendrickson-Smith, leads this swinging quintet; Joe & Ian will be joined by a variety of other well-known guest musicians booked by Jazz Standard founder, James Polsky. Tourists from far and wide will be impressed with this outstanding introduction to New York City, with the beautiful perspective gained only from out on the water. The tour narration is currently offered in eight languages, including English, Mandarin Chinese, French, German, Italian, Korean, Portuguese, and Spanish. Take happy hour to a whole new level when you corral a group of colleagues or friends and join Hornblower’s Alive After Five two-hour cruise on the Hudson River. The onboard DJ provides the lively soundtrack and the backdrop is New York’s beautiful skyline and iconic landmarks. What’s better than a leisurely, luxury brunch? The Jazzy Champagne Brunch Cruise brings you the ultimate brunch experience in NYC. Discover the latest dining and entertainment trend in New York aboard a beautiful yacht on the Hudson River. Get ready for the experience of a lifetime aboard a RIB (Rigid-hulled inflatable boat) as you speed along the Hudson River and around the Statue of Liberty in a unique sightseeing adventure. For the ultimate New York City adventure, hop on our 3-Day All Around Town Tour! The tour offers hassle-free, unforgettable sightseeing in the Big Apple. Our 4 distinct tour loops give you access to the best of Manhattan and Brooklyn– both by day and night. The All Around Town 48-Hr Tour allows you to explore all that New York City has to offer! 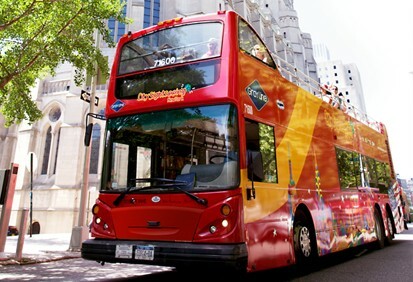 This 2-day double-decker bus tour pass includes unlimited access to 4 great tour loops that connects you to different parts of the city and Brooklyn as well! 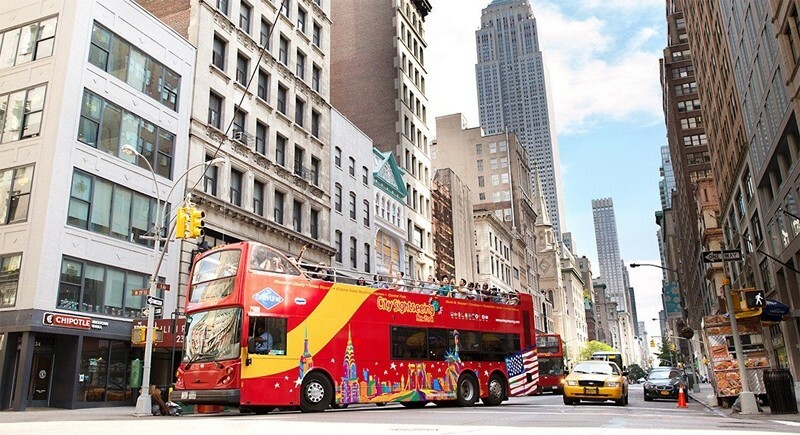 From Central Park to the Time Warner Center, from Millionaire’s Row to Museum Mile, from the Apollo Theater to the Harlem Market, CitySights NY’s Uptown Treasures & Harlem Tour takes you past some of the city’s landmark sites, in a hop on/hop off excursion on a double-decker bus. Book today for this unforgettable trip narrated by a licensed guide. Experience the magical views of New York City's famous skyline while enjoying the convenience of three Hop-on, Hop-off locations! City Sightseeing Hop-on, Hop-off Boat Tours is the fun, friendly and most convenient way to see the harbor that made NYC what it is today! Hop on-board for a quick and inspirational harbor cruise! 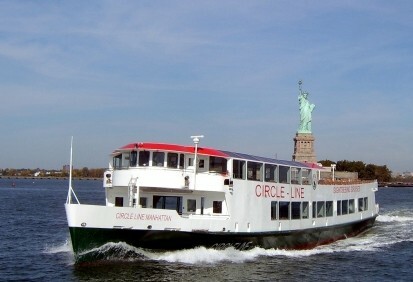 The fastest and best way to see the Statue of Liberty! Sail down the Hudson River to the Statue of Liberty and back, viewing such sights as Ellis Island, the historic immigration center, the rising Freedom Tower, and the World Financial Center, along the way. The streets of New York City come alive on this one-of-a-kind interactive entertainment journey, The Ride! This moving theater is hosted by award-winning comedians during a 75 minute exploration through Midtown and Times Square. Explore New York City’s most iconic landmarks like never before! You’ll tour the city in a completely innovative way through floor-to-ceiling glass windows and stadium style seating. Set sail on on New York City’s harbor for a 90-minute cruise for stunning panoramic views of the Manhattan skyline, Brooklyn Bridge, Empire State Building, Williamsburg Bridge, Statue of Liberty and so much more. Any way you explore Manhattan and the surrounding boroughs, the size and beauty of the area are impressive. But seeing it all from the water is a special experience only a few get to experience. The best way to fully appreciate the true size and beauty of Manhattan and the surrounding boroughs is to explore them by water! 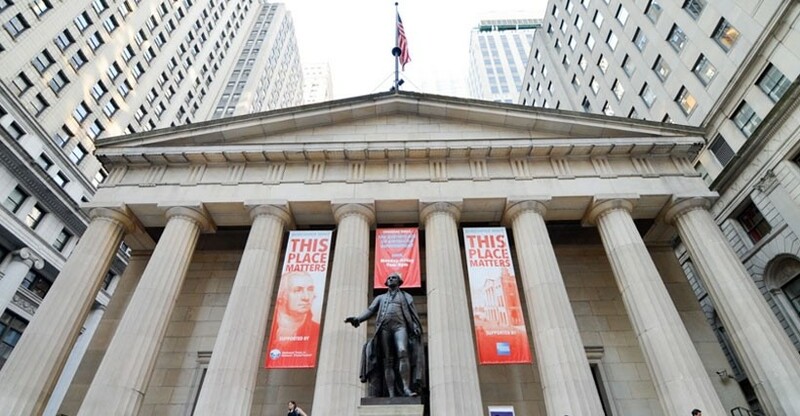 Retrace the steps of one of New York City’s most iconic local founding father, Alexander Hamilton. Experience lit-up panoramic views of New York City at twilight on this 60-minute harbor boat cruise. Discover the global crossroads of Manhattan with SoHo, Little Italy and Chinatown - three very different and vibrant neighborhoods within blocks of each other! Wall Street is the symbol and foundation of the US financial system – the largest and most observed stock market in the world. During the 1600’s, Wall Street was the northern border of the Dutch colony of New Amsterdam with a wall to protect the local citizens. The tour explores not only the history of the Broadway Theater, but tells you the backstage stories that make them come alive! Eat like a New Yorker with a local guide on this 3.5 hour walking tour of East Village. Come hungry, but with the freedom to enjoy as little or as much as you’d like! Food on Foot tours allows you to buy tickets with a food credit or you can pay as you go allowing you to make your own choices at each stop. Eat like a New Yorker with a local guide on this 3.5 hour walking tour of Midtown and Hell’s Kitchen. Come hungry, but with the freedom to enjoy as little or as much as you’d like! Food on Foot tours allows you to buy tickets with a food credit or you can pay as you go allowing you to make your own choices at each stop. Eat like a New Yorker with a local guide on this 3.5 hour walking tour of Midtown. Come hungry, but with the freedom to enjoy as little or as much as you’d like! Food on Foot tours allows you to buy tickets with a food credit or you can pay as you go allowing you to make your own choices at each stop. Explore Brooklyn’s trendiest neighborhood, Williamsburg, full of cutting-edge culture, exciting history and creative street art. This relaxing two hour stroll covers 1.5 miles and will immerse you into the laid-back culture of boutiques, restaurants, restored lofts, creative architecture, vibrant street art and the stunning view of Manhattan’s skyline. Discover the remarkable world of street art in America’s urban art hub, Bushwick, Brooklyn. On this two hour, 1.5 mile guided tour you will immersed into the vibrant culture of street art and stories of the imaginative artists who bring neighborhoods alive with their colorful and creative art. Bob your head to classic beats and rhymes as you make your way through the borough that serves as one of the central birthplaces of the hip hop revolution - Harlem. The unique lifestyle of this neighborhood is rich in cultural heritage of the arts.